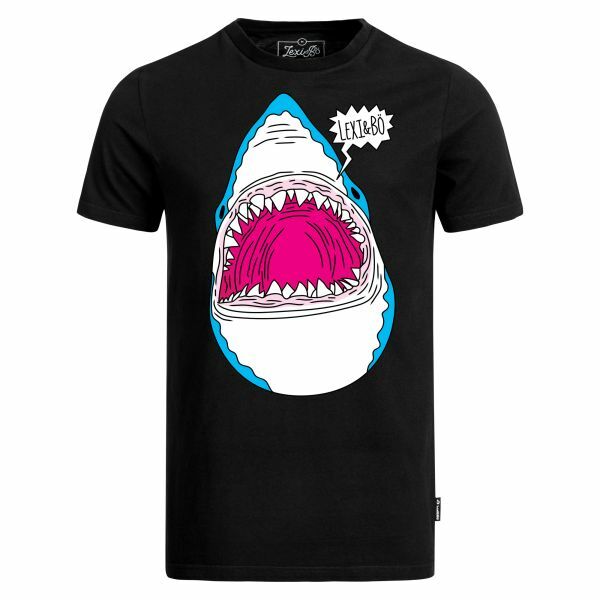 Details "Shark Head T-Shirt Men"
With this shirt you are guaranteed to stand out. The casual men's T-shirt with the large flash shark head motif is absolutely unique and will draw everyone's attention. The jagged speech bubble with our brand name "Lexi&Bö" completes the catroon design. The funny crazy frontprint consists of a chemical-free, water-based printing ink, which is particularly gentle on the environment as well as on your skin. Made of 100% organic cotton in Portugal, this 150 g/m² fabric feels super soft. You can see and perceive the quality. Due to the high-quality textiles and the reinforced crew neck, the shirt does not wear out so quickly, so you have a good time with your new favorite style as long as possible. 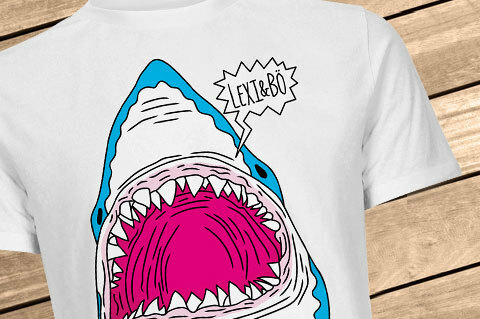 Customer evaluation for "Shark Head T-Shirt Men"
Habe inzwischen mehrere Shirts. Auch nach einigen Wäschen formstabil und die Farben halten auch.